Last year during allergy season, I noticed puffiness under my eyes. This is definitely orange alert for me!! In a frenzy I went on Sephora and Amazon, bought all the top-rated eye products that claimed to reduce puffiness. However, after applying at least 10 of these creams, gels, imitation cucumber pads on my eyes, I saw no improvement in my situation. Not only that, my eyes started hurting or feeling itchy all the time. In fact, on my flight to Floria last winter, I had so much pain in my eyes that I couldn’t even read a book or look at the TV screen in front of me. I looked around me – all these other people seem to have no problems whatsoever with their eyes. Just when I was ready to cry over how unfair life is, a thought miraculously popped into my head. Maybe it’s the random eye products I’m using that’re giving me all this grief. What if I DON’T use anything?! During that whole vacation, I applied nothing to my eye area. Only a face moisturizer on my cheeks, that’s it! Not sure exactly at which moment my eyes stopped bothering me, I just seemed to remember less and less about the itchiness or the tearing up problem as if they never occurred. In the pictures that I took for myself, the puffiness was gone. If you want to try it, this little device comes in white, black, red and blue. Shoppureaddiction.com currently is offering 15% off on everything with promotion code “SHOPPINGNOTES”, watch out for other promotions throughout the next two weeks! For this holiday season, mytheresa.com is giving 30% off on a different item each day. What a fun way to count down to Christmas! In case you’re getting tired of the winter coats and UGG boots, there’re lots of new arrivals to look at as well. Resort and Spring styles have arrived from Lanvin , Christan Louboutin , Miu Miu , all the designers you desire! My favorite is still the Dolce & Gabbana Rose Garden Silk Dress from last season, waiting for its price to come a little more from (the already-on-sale price) 895 Euro!!! Save 30% on all Down Comforters at Pacific Coast Feather Company , offer valid until 11/1. Get a Free Pair of Down Booties with purchase of $75 at Pacific Coast Feather. Buy it first! Be the first to buy the looks from Milan and Paris Spring/Summer 2010 Runway shows. From September 28th to October 6th, LUISAVIAROMA.COM (FREE SHIPPING to the United States, Canada, and Europe) is giving you a very unique opportunity: one to order the top 10 looks directly from the latest runway collections chosen by Luisa’s buyers! 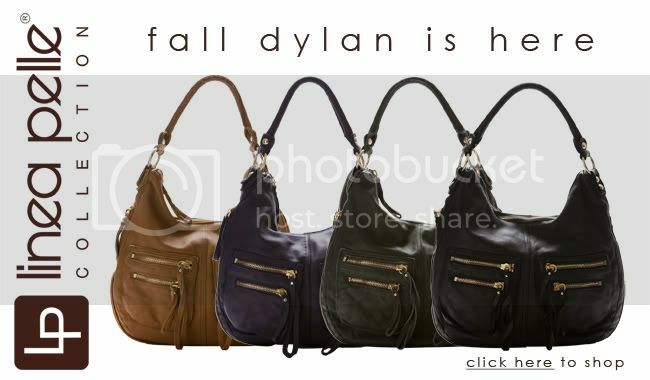 The much anticipated Fall Dylan has arrived early!! Both new and classic silhouettes come in gorgeous dark fall colors! Don’t forget to use these coupon codes when you shop at Linea Pelle. Get $15 off any order over $100 at Linea Pelle! Use code CJLP15. Mommy-turned-Designer Allison Krongard founded WallCandy® Arts after being asked by friends and family many times for stylish ideas to decorate babies’ rooms. Her solutions include peel-and-stick chalkboards, wall stickers and wall art, all of which can be removed and used again without leaving any marks on the wall. Personally I think the chalk-boards are a great idea, each kit contains 4 panels for you to use separately or combine to create a large writing surface. I haven’t seen those anywhere else, finally there comes a designer who truly understands the joys and pains of having a toddler. Currently they’re offering a 25% discount on Landscape wall stickers. Just use code Land25 at checkout. After June 30th there’ll be a new sale on a different item, watch out for that!